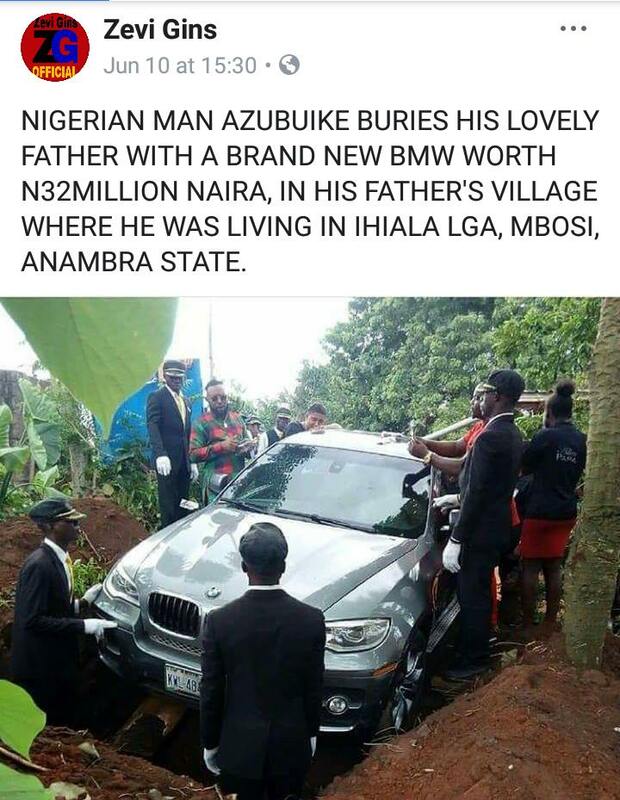 A Nigerian man simply identified as Azubuike has proven his love for his late father in a legendary manner after burying him in a brand new BMW car. 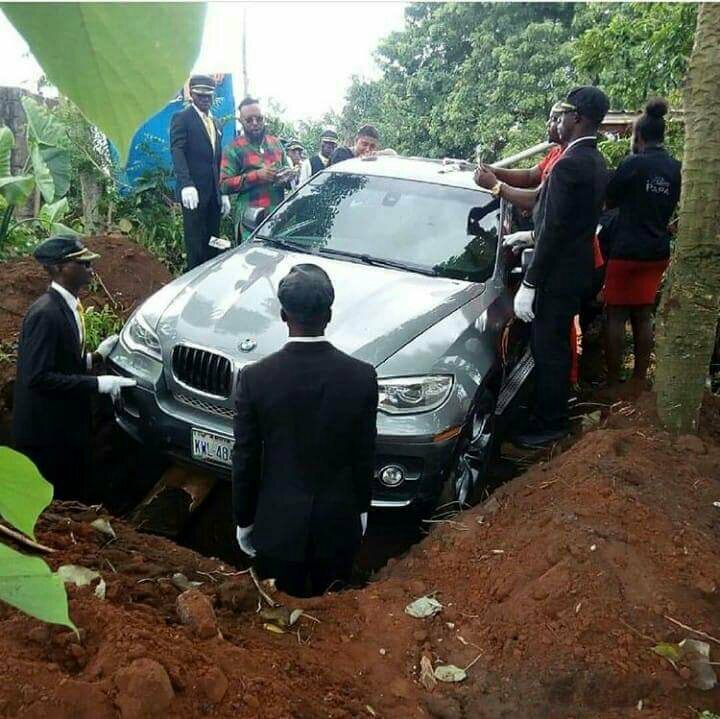 According to reports, the car which is worth about N32 million was used in place of a casket and planted into the already dug ground. The burial took place over the weekend at Anambra state, where the late father was allegedly residing. 0 Response to "Ah! 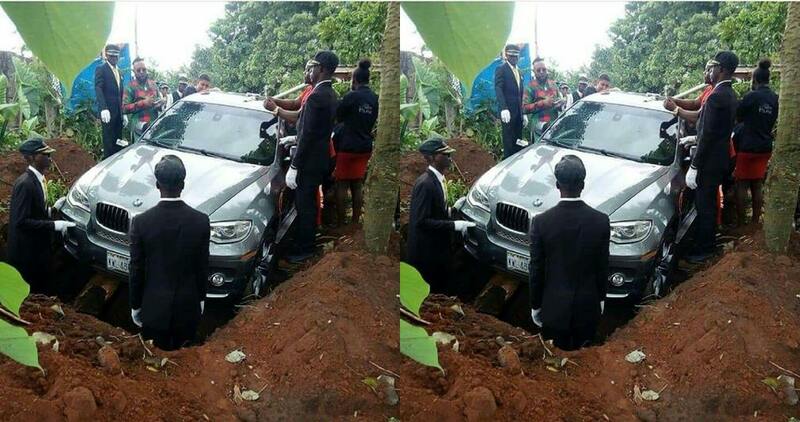 Man Buries His Father In A N32M BMW In Anambra (Photos)"